At Willola, in Nez Perces County, is located the enterprising gentleman mentioned above, and there he is the present incumbent of the post office, does a general merchandise business and handles a ferry, the last two industries in partnership with his brother-in-law, Charles W. Wright. 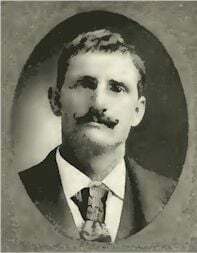 William M. Evans was born in Linn County, Oregon, in 1867 and remained with his parents until 1886. Being then about nineteen, he started for himself and various employments engaged him for two years. Then stirred by the tales of wealth in the British Columbia regions, he mined two years in the vicinity of Nanaimo. After this venture he was employed for some time in railroading and bridge construction. In 1893 he made his way to Juliaetta, hired land from his brother, mention of whom is made in another portion of this volume, and there farmed for three years. At that time, the reservation was opened and he came to his present placed and filed on a quarter section. In connection with his brother, Mr. Evans built roads for the ferry which they operated and later he bought the ferry from his brother and is still operating it. In addition to this and the merchandise mentioned above, Mr. Evans has been busy in the sawmill business, erecting the first mill on the reservation. Two years he devoted time and energy to this industry and made a success of it as is the custom of Mr. Evans in any line that he attempts. On August 3, 1894, Mr. Evans married Miss Minnie M. Wright, daughter of William A. and Ella (Emrick) Wright, of Dublin, this County. 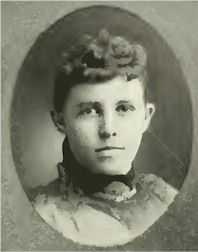 Mrs. Evans was born in Columbia County, Washington, on December 19, 1878. To this happy union there have been born three children, Lola, Willie and Henry. Mr. Evans and his gracious wife are among the most valuable additions to society in this section. They are highly respected people, and the business ability, integrity, energy and wisdom manifested by Mr. Evans have given him a place of influence and prestige, while he has also gained a gratifying success in his business enterprises. In politics, Mr. Evans is a Republican and is an active worker in the County conventions, and always stands by his convictions. The post office was named for his two children, Willie and Lola.